Home Amazing Why does the new Greatest Showman film about P.T. Barnum who built a fortune on freaks and fraud gloss over his outrageous cruelty and racism? Why does the new Greatest Showman film about P.T. Barnum who built a fortune on freaks and fraud gloss over his outrageous cruelty and racism? Legendary American showman P.T. Barnum earned many sobriquets during his 80 years. He was, variously, the man who ‘invented showbusiness’, the ‘Shakespeare of advertising’, the ‘Prince of Humbug’ and the ‘world’s greatest fraudster’. He once exhibited the skeleton of a ‘mermaid’ (a monkey sewn on to a fish carcass), claimed to have President George Washington’s 160-year-old nanny in his ensemble, and routinely exploited black people, the mentally and physically disabled, and deformed — including conjoined twins and a child with dwarfism — in the name of profit. He had done it all, laying the foundations for the business of showbusiness and how promoters and publicists would operate in the 20th century. He invented the big top circus entertainment extravaganzas and launched the first superstar tour, with singer Jenny Lind, the ‘Swedish nightingale’. Then, once Barnum had his fill of all the razzmatazz, he neatly reinvented himself as a campaigning politician, philanthropist and leader of the Temperance movement, promoting sobriety. It’s quite a story, so no wonder Australian actor, Hugh Jackman, has been clamouring for years to make — and star in — an epic rags-to-riches romantic musical movie celebrating Barnum’s extraordinary life, The Greatest Showman, which opened this week. What a shame, then, that in his haste to pay homage to the man who ‘celebrated all humanity’, Jackman’s film has left so much out. No mention of Barnum’s endless failed business ventures, his obscenely hasty second marriage, after his first wife’s death, to a girl 40 years his junior, and his horrific mistreatment of his animal exhibits? What about his cynical and relentlessly commercial manipulation of hundreds of America’s vulnerable, abused misfits as money-making opportunities in his ‘freak’ shows? 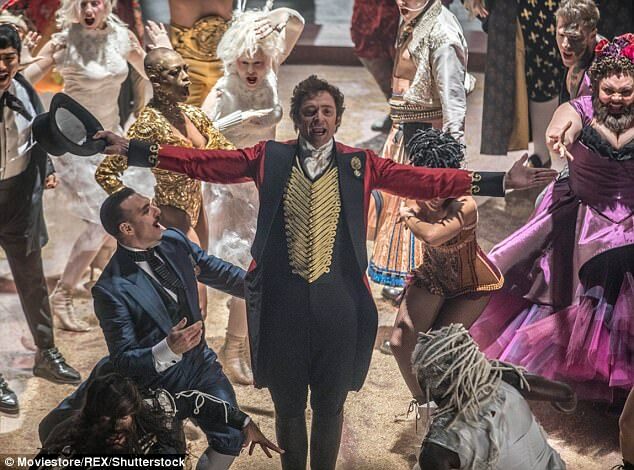 In The Greatest Showman, the emphasis is firmly on Barnum’s so-called empowering of these individuals, rather than exploitation. One of Barnum’s star turns was Tom Thumb (real name, Charles Sherwood Stratton), who suffered from dwarfism and stood just 25in high. Barnum dressed him in military uniform and billed him as the ‘world’s smallest general’. In the film, he is portrayed as a 22 year-old-man and not the five-year-old boy he really was when he was put to work and began drinking alcohol as part of his act, and barely seven when he started puffing on cigars. And what of Joice Heth, the 80-year-old black slave whom Barnum bought — yes, bought — for £1,000 ($1,350) in 1835, who was rebranded as ‘George Washington’s 160-year-old nanny’, and became a travelling exhibit? She has been airbrushed out completely. Poor Joice was blind and partially paralysed, with just enough movement in her right arm to allow her to smoke a corn-cob pipe. She was also toothless. Barnum even boasted about how he’d plied her with drink and then pulled out her remaining teeth to make her look closer to 160. Not surprisingly, she didn’t last long — barely a year, but long enough to recoup Barnum’s investment many times over. He made still more money out of her death, charging the public 50 cents each to attend her public autopsy. The profits from ‘Washington’s Amazing 160-year-old Nanny’ allowed him to set up his infamous Barnum’s American Museum which became the cornerstone of his business empire. There is also no mention in the film of black conjoined twins Millie-Christine, or black brothers, Eko and Iko, all of whom had been kidnapped from their parents as children for their ‘freak show’ value, and later acquired by Barnum. Or the dreadlocked black males who were displayed in cages as ‘wild men’. Which is a shame, because they all helped turn him into a multi-millionaire and the ‘most widely-known American that ever lived’. Phineas Taylor Barnum was born in Bethel, Connecticut — 70 miles from New York — in 1810. His father was a struggling tailor and shopkeeper who worked hard for little return. From the start, young Phineas wanted to make a lot of money — fast. Over the years, he tried and failed with endless schemes — grocery stores, a lottery, a weekly newspaper, a fire extinguisher that could not put out a fire and a cargo ship that never took on a cargo. Then in 1835, after moving to New York with his wife Charity, he came across Joice Heth. It was a Eureka moment when he recognised the appeal to the American public of the unusual, the unexplained, the grotesque, the maimed, the disabled, the deformed and the downright fake. ‘Nobody ever lost a dollar by underestimating the taste of the American public,’ he once said, famously. He had found his calling and proved to be a genius at coming up with unbelievable cons and outrageous tricks. He instinctively knew better than anyone how to give audiences the mix of glitz, craziness and ghoulishness they craved. 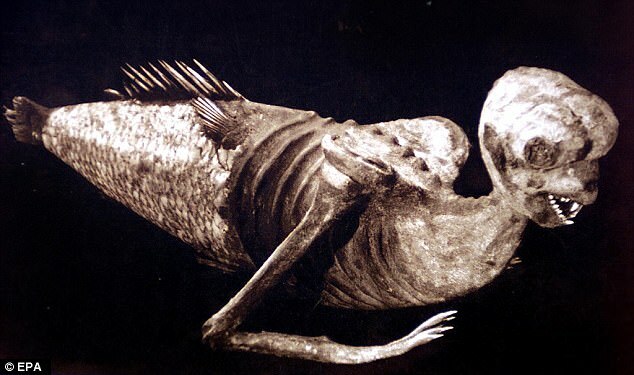 Some of his scams were fun and harmless — like that ‘genuine mermaid skeleton’, ostensibly caught by sailors near Fiji. Others caused gasps of disbelief and accusations of abuse and racism, even back then. 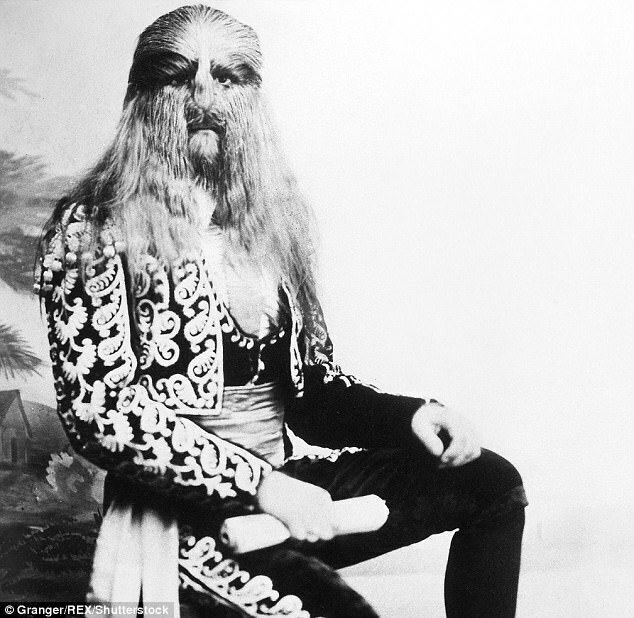 There was a lavishly hirsute lady called Annie Jones with plaits to her waist and a lustrous curly beard that grew down to her breast bone; Jo-Jo, the ‘dog-faced boy’ who had to bark for his living, and Isaac W. Sprague, the ‘living skeleton’, who suffered from a form of muscular atrophy, standing 5ft 6in tall, and weighing only 44lb. Perhaps, most upsetting was an African-American boy, William Henry Johnson, who suffered from microcephaly, which meant he had a tiny, sloping head. His ‘act’ involved sitting in a cage, dressed in a furry suit, shrieking and rattling the bars and pretending to be the Wildman of Africa or a ‘man monkey’. At other times he was exhibited as Zip the Pinhead. 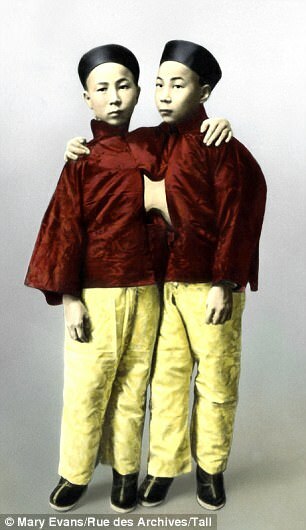 To be fair to Barnum, some acts — including conjoined twins Chang and Eng Bunker, billed as The Siamese Double Boys — were thrilled to work with him and take his money. Joined together by a band of flesh above their hips, Chang and Eng fought constantly — mostly over Chang’s rumbustious drinking — but were amazing acrobats, fantastic chess players and astonishingly strong. They performed for four hours a day, six days a week for years, made a small fortune from their notoriety, married two sisters and somehow — reports are hazy — fathered 21 children between them before dying within three hours of each other in their early 60s. And Tom Thumb, who was under 2ft tall, also remained loyal. As his fame spread, Barnum, desperate to be accepted into elite society, drove himself ever harder and took astronomical risks to make more and more money. But he also showed astonishing vision. When, in 1850, he met opera star Jenny Lind, he promised her an American tour which turned into the precursor of the modern rock extravaganzas. It took the equivalent of £16 million ($21.5 million) in today’s money over just nine months, and spawned a mania for Lind merchandise: concert tickets, hats, opera glasses, paper dolls, sheet music, even Lind-branded chewing tobacco. Over the years, Barnum’s fortunes went up and down almost as often as the big top, but every time he came back with something new — albeit often a hoax or scam. He lied about anything and everything and laughed off criticism by declaring it all ‘showmanship’. So Jumbo the world’s biggest elephant — purchased from London Zoo for £2,000 ($1,700) against Queen Victoria’s express wishes and causing a massive international scandal — was not the biggest elephant in the world — nowhere near it. Just a big elephant with arthritis and rotten teeth from eating too many buns. And Lionel, the ‘lion-faced man’, had extra hair glued on for effect. And, of course Tom, the world’s smallest general, was actually a young boy. But no one cared. P.T. Barnum’s autobiography, written in 1854, sold more than a million copies and was the second most published book in ten North American states after the Bible. He was, as Hugh Jackman points out, the personification of the American dream — a man who’d risen from poverty and followed his passions to make his fortune. People overlooked his often appalling behaviour and cheered when he batted off endless misfortunes. In the 1860s, his New York Museum burned down not once, but twice, boiling whales alive, roasting pythons and letting orang-utans and serpents loose to roam free in Manhattan. Anna Swann — his 7ft 10in ‘giantess’ from Nova Scotia — had to be lowered from an upper window by a team of firefighters using a derrick and a tackle. After the first fire, Barnum bounced back, taking Tom Thumb on a world tour. The pair became international celebrities and regulars at Buckingham Palace — indeed so regular that Tom received a special court suit — brown silk and velvet with a white satin vest, white silk stockings, wig, cocked hat and dress sword. 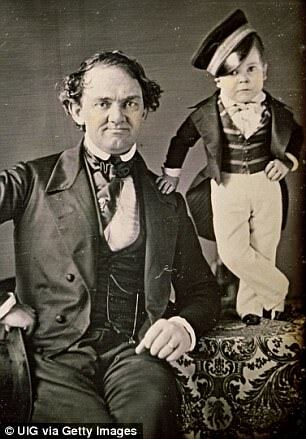 And by the time Barnum returned home, after touring the courts of France, Spain and Belgium (and very nearly buying Shakespeare’s birth place in Stratford upon Avon), Tom Thumb had been seen by three million people. The second fire, several years later and coinciding with a disastrous investment in a clock company, almost broke Barnum. But not quite. He had a brainwave instead, reinventing his ‘freak show’ as Barnum’s Circus in a big top complete with Jumbo the ‘world’s biggest elephant’. Aged 60, Barnum became a multi-millionaire all over again. He was charismatic, flamboyant and brilliant but also desperate to be liked and accepted. It took time. His money — which he liked to flaunt with ridiculously over-the-top houses inspired by Brighton’s Royal Pavilion — had not been made in the conventional ways of banking or mining, railways or gold, but through his uncanny ability to spot (and squeeze dry) opportunities in an often tawdry world and at great cost to the vulnerable. During his later years — and in perhaps his biggest fraud of all — Barnum achieved the acceptance he craved from smart society by reinventing himself as a philanthropist, reforming mayor and anti-slavery campaigner. And he almost, but not quite, rewrote history so that characters like Joice Heth on whom he built his fortune, the twins Millie- Christine, or black brothers, Eko and Iko, poor little Zip the Pinhead — and scores of others like them — were forgotten. Just as they have been in the film.